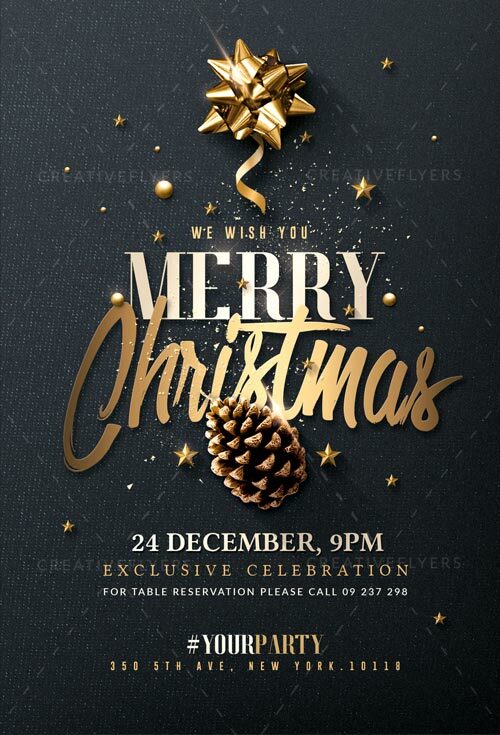 This Christmas Invitation Psd is a perfect promotion for your Christmas event or party ! for night club event, restaurant, bar, private or any other party. Save time and create a personalized design with your own text!, images and colors. Christmas is one of the essential events of end of year, an excellent opportunity to promote this event with this flyer Christmas theme. PSD Files Included Compatible With Photoshop CS4, CS5, CS5.5, CS6 & CC.